Getting your welding equipment on line is a snap thanks to the convenience of online shopping. Our welding machines are available in traditional Tig welders, Mig Welders and Arc welding machines but we also have multifunction welding equipment comprising tig stick plasma units or mig tig stick welding systems. Synergic MIG210S is currently on sale at $995 delivered. Get in while stocks last, call us on 1300 881 991 today. Inverter multifunction welders have increased functionality over single function welding machines. These new types of multifunction welders often come in particular types depending if they are used for tig or mig welding processes. In tig welding machines the multifuncton component is always a plasma cutter. In mig welding machines the multifunction part is the stick and tig welder. Most of the time the tig welder is a lift arc type. 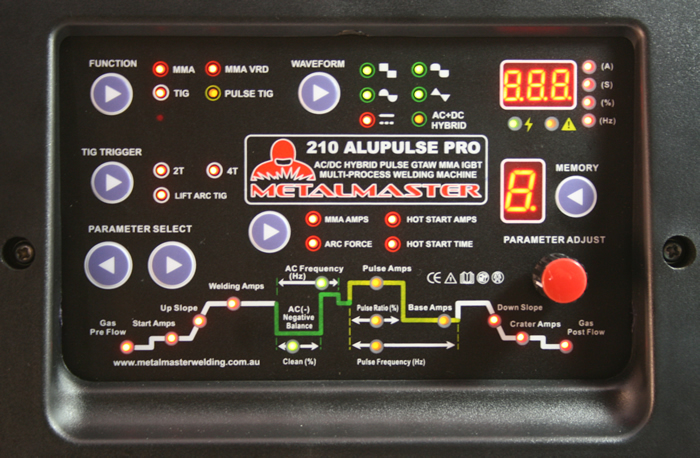 Tokentools have many types of multifunction welding machines so please give our staff a call on 1300 881 991 today.